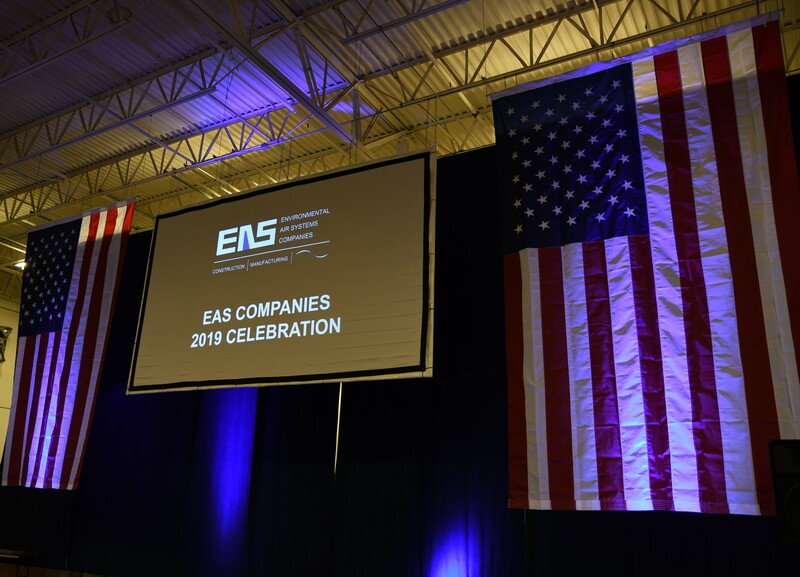 To begin 2019 with energy and purpose, Environmental Air Systems assembled over 600 employees for a special event held at their headquarters facility. Factory bays were cleared, a stage was set up, large video screens and American Flags were hung and music was in the air as the lights dimmed for the playing of a patriotic song. At the end of the song, a lone spotlight shined on their special guest standing on stage, retired Navy Seal Jason Redman. After describing the intense battle in Iraq that left him nearly dead the spotlight was turned off and after Jason walked off the stage the lights came on to a Marine color guard marching toward the stage. The American flag was presented by the color guard and the Star-Spangled Banner played to a standing audience. 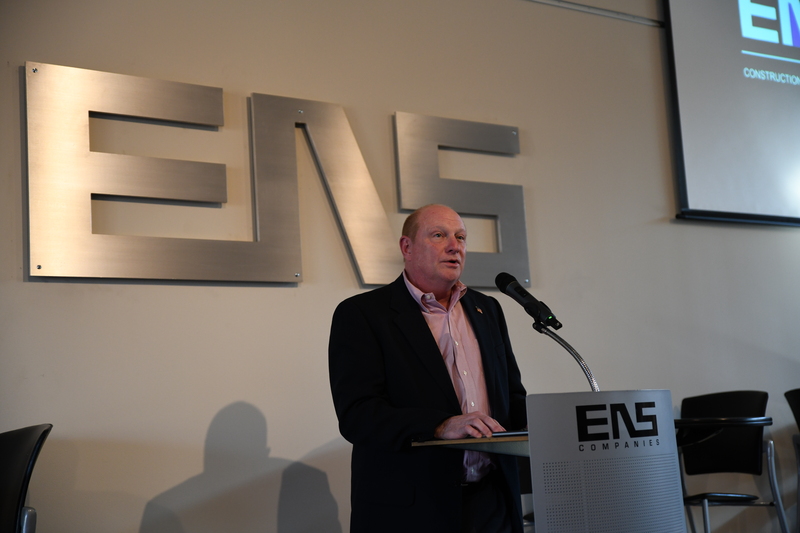 Brian Evans, EAS President then formally introduced Jason and the two of them asked that all veterans come forward and individually walk across the stage for a small gift and handshakes. Fifty-six veterans who were in attendance were honored and met our special guest. After Brian made closing comments, everyone had lunch while talking about what they had just learned. 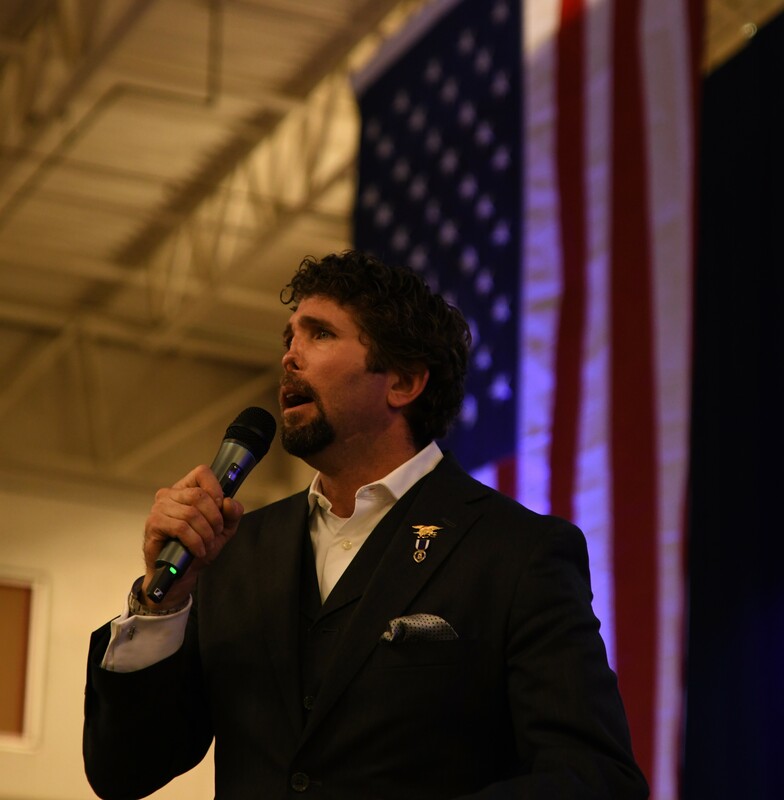 It was a memorable event, and thanks to retired Navy Seal Jason Redman it was an event that many believe will be long remembered. 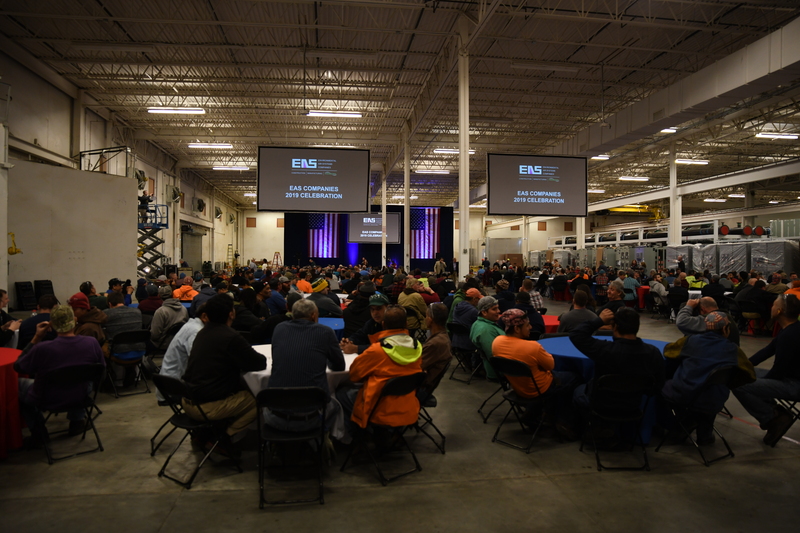 After lunch a smaller group made up of office and management personnel assembled in the cafeteria for a business update given by each business leader from Construction, Manufacturing, Controls and Service. They each recognized certain people for their 2018 achievements and reviewed their 2019 business objectives to kick off the new year. It was clear that Jason Redman made a lasting impression when late that afternoon people were describing a business situation using terminology Jason used in his speech earlier that day. In Jason’s words: Live greatly, live fearlessly, leave nothing on the table!